Last year, Aldi — an international discount supermarket chain — made an epic announcement: Some of their stores would be carrying wine Advent calendars for the 2017 holiday season. Of course, people were understandably excited. I mean, who doesn’t want a delicious and reasonably priced box of boozy goodness? However, those in the States were heartbroken when they learned the product would only be available overseas. 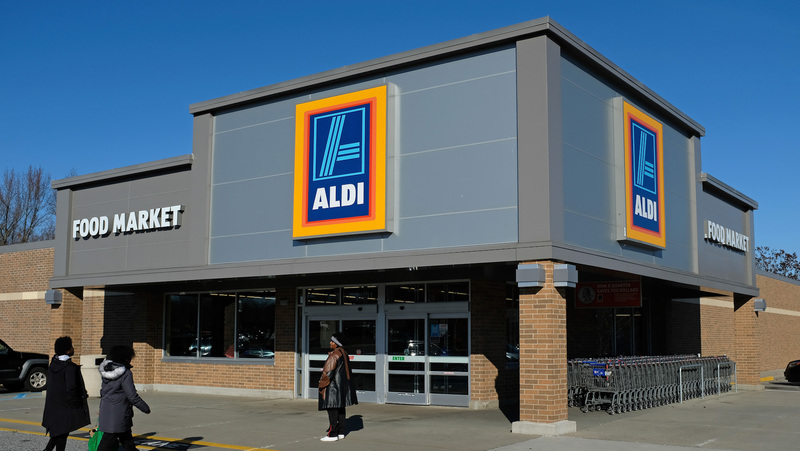 But Aldi has good news for those in the Western hemisphere. Due to the Christmas calendar's overwhelming popularity, they will bringing the wine Advent box back — and they will be bringing them stateside. According to Delish, each box will be $70 and will come with 24 mini-bottles of red, white, rosé and bubbly wine. (Great news, right?) Well, hold on because there is a catch. Since some states (like New York) have laws prohibiting the sale of alcohol in supermarkets, you may or may not be able to buy the calendar at your local Aldi. That said, if wine isn’t your thing (or if, like me, you live in a no-sale state) don’t worry. Aldi has your back. In addition to releasing a wine Advent calendar, Aldi has announced a cheese Advent calendar, and this baby — full of cheddar, Gouda and Edam — will only set you back $13. You can also buy one of each, because who doesn’t love wine and cheese? And while it may seem early to be talking about the holidays, the wine and cheese Advent calendars will hit store shelves soon — on Nov. 7 to be exact — so be sure to find your closest Aldi now, because these boxes are bound to sell out.